They say you should write about what you know, which always makes me wonder how writers of historical fiction ever so much as get started. With the best research in the world, understanding what it was truly like to live in, say, Roman Britain, or 5th century China, is, at best, an exercise in convincing guess-work. Maybe historical fiction attracts those authors largely because no-one alive can refute their interpretation – their best guess as to what it was truly like, is as good as anyone else’s. Today, I was struck by the frequency with which protagonists of certain types of fiction – particularly fiction aimed at girls, I suppose, that being what I’ve been reading – are carefully guided by the author into becoming writers of fiction aimed at girls. 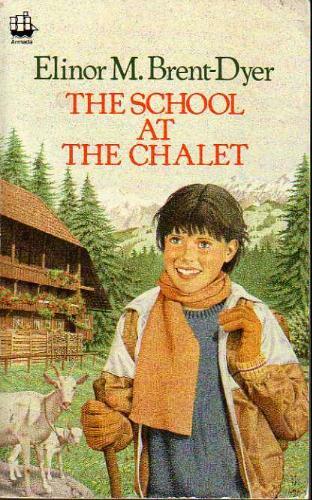 It is true in Elinor Brent-Dyer’s Chalet School, where the lead character, Joey, goes from being an unpolished but clearly innately talented writer of fairy tales, to being a producer of schoolgirl fiction almost as prolific as Brent-Dyer herself (but not quite – I imagine it took her all of her time to come up with a title and plot summary for 58 real Chalet School books, without producing a similar number of pretend ones). In Louisa M Alcott’s Little Women series, it is the similarly-named Jo who validates the author’s life choices with her writing. Indeed, there is a clear and barely disguised influence of Alcott’s lead character over Brent-Dyer’s, right down to the choice of name. Over the last few weeks, I have been reading L M Montgomery’s Anne of Green Gables books, and I find a similar pattern. Anne is a flighty and overly imaginative child, likeable, but widely considered to be in need of containment by the other characters. As she ages, she becomes a girl who writes rather than play-acts, and into adulthood she becomes a published author in various small-scale magazines, gaining increasing acclaim for her (short) stories. So far, I am half-way through Anne’s House of Dreams, and she has yet to produce anything in the way of a full-length novel, and has just rejected a potentially interesting writing project as being unsuitable to her talents, offering it up instead to a male writer who wanders her way, and who is seeking to produce “a great Canadian novel”. 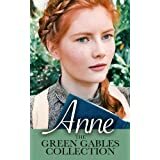 Anne Shirley, of Green Gables fame, L M Montgomery. Now, I’m not here to pick holes in the gender stereotyping that is rife in a book written over a hundred years ago, and seeking to depict the slightly old-fashioned life of a rural, colonial community, even then. Obviously, the expectations held in those books are going to jar somewhat with my modern, sophisticated(!) 21st century reading. Mostly, I am fascinated by the apparent need for women authors to validate their own choices through the similar choices of their lead, and generally clearly favourite, characters. Is it simply an act of self-reassurance? Are they shouting, “Look! Anne is a lovely girl, and she writes stories! And I write stories, so I can surely be lovely, too?” Are they seeking to declare that their writing is a valid activity, a reasonable choice, not an act of selfish conceit in the face of real, more womanly responsibilities? Joey Bettany continues, rather implausibly, to rattle out book after book, whilst apparently producing and adequately caring for no less than eleven children. Anne Shirley, on the other hand, spends much of her life thus far being too busy to write – too busy studying, too busy teaching, too busy keeping house for her new husband. She fits it in to summer vacations, and winter evenings, and doesn’t seem to fit it in at all once she is married, although her husband seems broadly encouraging. The only time that Joey is censured by the author for her writing, it is because she has become consumed by it. Clearly, Brent-Dyer saw this a serious risk. When Joey locks herself away for weeks on end, trying to produce her first full-length novel, she is described as risking her health by her inattention to the basics of food, sleep, exercise, and social interaction, and the book she produces is dismissed as being unspeakably, unsalvageably bad, to the point that she realises her mistake, and burns the manuscript. Anne, insofar as I can say, having only read half of the series, avoids this mistake, by always allowing her domestic responsibilities to override her desire to write. So she teaches, she helps Marilla with the twins, she cooks, cleans, sews, gardens, and has no time left over for the self-indulgence of writing. These are the protagonists of fiction for girls. They are role models. What are they trying to say to me? That all the best people write novels, as long as they are careful not to court criticism, by failing to be all the things that nice girls should be, as well? First, even? That my role as a woman is to be there for everyone else, just as women have always been expected to be, but to somehow prove myself to the the world by also doing this extra thing? Writing is a pretty self-indulgent activity. It involves sitting quietly, preferably, as pointed out by Virginia Woolf, in a room of one’s own, with a door that doesn’t get people banging on it for one’s attention. It requires taking oneself away from the places where one can be called upon to support everyone else. It is an absenting of oneself. And that’s really, really hard. It’s hard to justify, in a 19th century culture that views women as the oil that greases the household. If you are brought up to see your job as being to facilitate, to support, to meet everyone else’s needs before your own, the act of locking yourself away from all those needs and demands might appear like the ultimate selfishness. It might seem morally bankrupt, to actually choose to make yourself unavailable. The thing is, even now, when we all believe that women are equal to men (in theory, at least, if not always entirely in practice), look around the women you know, the ones with children, or other caring responsibilities, or jobs, and ask yourself how many of them carve out regular time to do something that makes them unavailable to those people. It’s terribly, terribly hard. All that the alleged liberation of feminism has brought many modern women, is an even longer list of things to do. Now we work AND take on most of the childcare. Change is slow in coming, and for as long as stay-at-home-dads remain the exception, and ultimate responsibility for housework remains, in most houses, the woman’s, there is no hope of what amounts to additional leisure time. Women’s lib has only liberated us to do more than ever. There are no areas in which we are free to give roles up. Of course, what is statistically true is not universally true. I am one of the lucky ones, in some ways. I have a thoughtful, considerate husband, who works from home, and is therefore both willing and able to take on a larger domestic role. His sheer presence has increased his parenting role with the children, and he watches me flounder with the housework, and is perfectly willing to take on jobs that will, hopefully, take the pressure off me. He wants me to have time and space to write, if writing is what I want the time and space to do. That I consider it a self-indulgent triviality, that should be fitted in after I have adequately cleaned, and cooked, and educated, or not at all, is not really his fault. The thing is, I strongly suspect that in order to do anything really well, in this world, it has to be your priority. If writing doesn’t come first, then I will never be a first rate writer. If music doesn’t come first, I will never be a first-rate musician. If I don’t practice, refine, hone my craft, if I don’t put in my 10,000 hours, as per Malcolm Gladwell, how will I ever get good enough to succeed, by whatever terms we choose to define success (a discussion for another day, I suspect, since this is becoming untenably long already – see how much I could benefit from refining my craft?!). I would like to write more. I would like to develop the subtle talent for creating whole worlds, people, situations that chime with the reader, that seem magical and fantastic, but no less plausible for that. I would like to somehow recapture the creativity of a childhood that never struggled to pretend, to create alternative realities, but be back in time for tea. Nothing makes me want to write more than the act of reading what others have written. If only I could do that. If only I could put you inside a special, secret world that was just ours. If only I had that power. I would love that. But the only way to get good at writing is to write. So I intend to write. More often. More regularly. More thoughtfully. We’ll see whether it lasts. I think the reason why many writers include characters who are writers is because they are writing what they know. Writers obviously understand the desire and drive to write and know at least a bit about the sorts of people to whom writing appeals, and I think it totally makes sense that they enjoy creating characters who share that aspect of their own self. Also, many people who greatly enjoy reading are also very naturally interested in the act of writing and enjoy reading about writers and the writing process, so it is probably a very marketable sort of character to consider basing a story around. As far as Anne goes, it is a very common complaint amongst Anne fans that she abandons whatever writing ambitions she may have once had in favour of focussing on being a wife and mother. I can sympathise with that frustration, but I also think it is very understandable. It is certainly what most people of that era would have done. We all have dreams as children and teenagers, but they are nearly always squashed and die when the realities of the adult world come along. If we still struggle to justify our desire to write in the face of the mundane and tangible demands of running a household and raising children, even today when many women work outside the home and we recognise that doing work for yourself outside of your family is a very legitimate need, what hope did poor Anne have? I will be interested to hear your opinion of the matter as you read further through the series. Anne does, in a roundabout way, address the issue herself in at least one bit of the book that I can remember. Yes – I intended to suggest that writing about “what you know” could be the explanation, but my rather rambling style overtook me, and I forgot. And of course, Anne is a child of my great-grandparents generation. Womanhood was a very different thing, in some ways. Oh, and good luck with your aim to write more. I have also decided to buckle down and try to write every day. I feel just the same as you do, both in my desire to write and the obstacles to doing so! I think for women in that era becoming a published author was one of only a very few ways of making a mark on the bigger world around you and earning money in your own right. The others being school teaching and nursing which don’t suit married woman. That’s why they often follow a similar vein I think. I think there was much more time 30 years ago. My mum certainly did work hard at looking after us (and worked a part time job for about 12 hours a week) but she had loads of time too for all sorts of activities of her choice. Also because my mum was at home to deal with most of the jobs the evenings were free to do stuff themselves and with us.